Throughout December and January, the Portfolio Grant Committee conducted mid-year check-ins with all 10 of the capacity building investees. The mid-year is a chance to learn more about three key areas – how programs are progressing, progress on capacity building, and how SVP can best support the organization’s capacity building vision. It is also an important chance for SVP to receive critical feedback so that we can improve! Children’s Alliance is in the second year as an SVP Investee. In the past months, they completed the SVP financial assessment with positive results. They are also excited about the trajectory of early learning legislation in 2019. Their priorities will “improve child outcomes and move Washington closer to a state where every young child has equitable access to the opportunity to succeed in school and in life.” Check out their 2019 policy agenda. In their fourth year of capacity building with SVP, Communities in Schools Seattle. Recently, Shira Rosen returned to the organization as the Interim Executive Director, with a new search underway. A few SVP Partners will be facilitating an upcoming Board retreat. The 4th annual Empower. Achieve. Succeed. Breakfast is on April 4, 2019. Open Arms Perinatal Services is wrapping up their time with SVP in their fifth year and have lots to celebrate! In recent months, they received several significant grants and investments that will more than double their clients and allow them to begin new programs in 2019. They believe they are a completely transformed organization since the start of their relationship with SVP. Open Arms is a leader in their field and we look forward to watching their future unfold. Join their Labor of Love Luncheon on February 14! Sound Discipline is in their fourth year with SVP. One of the primary focuses for the past year has been strengthening the Board of Directors. You can read about their accomplishments in 2018 in their recently released Report to the Community. Sound Discipline is currently seeking a new Lead Partner. Engage with them at the Investee Showcase on April 10th! In their fifth and final year with SVP, Spark Northwest is excited for 2019. There are promising opportunities on the horizon for policy decisions that favor solar. In just a few short years, Spark Northwest has “quintupled the amount of solar power” used in Washington State. With the success of their capacity building, they are also looking at other favorable markets within which to expand their programs. Southwest Youth and Family Services (SWYFS), is in their fourth year of capacity building with SVP. They have been hard at work to create the White Center Community HUB in partnership with the White Center Community Development Association, Capitol Hill Housing, and King County. The HUB is a community-driven and designed campus with a wide array of community services and affordable housing. During their time with SVP, the have invested heavily in their data systems, strategic planning, and financial management. Check out the current volunteer opportunities with SWYFS. In their first year with SVP, WA BLOC is right where they should be. They have selected their Lead Partner, Lilliane Ballesteros, and are evaluating their capacity building needs. 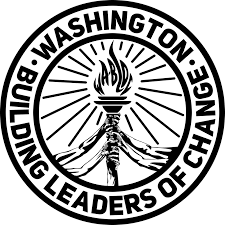 While WA BLOC is developing their capacity building volunteer opportunities you can volunteer with them directly or learn more about them by joining their “BLOC Party” on March 27th. 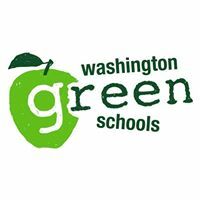 Washington Green Schools is in their second year as an SVP investee and are making great strides. This past year, they received a significant contract to expand their programs to create greener, healthier school environments. They continue to operationalize racial equity best practices within their board and programs. They have had an outstanding track record of capacity building in their first year – including participating in SVP’s financial assessment. 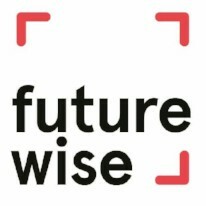 An Investee of the EnviroCAT, Puget Sound Cohort on Racial Equity is a multi-year cohort of 11 environmental organizations – ranging from mainstream to grassroots communities of color led organizations – working towards embedding racial equity within their own organizations and coalitions. In the last year, the group co-created a Racial Equity Framework which can guide how organizations/coalitions/networks can work together, shift power, and build accountability. We look forward to the completion of the framework expected later this spring. Front and Centered just released their Washington Environmental Health Disparities Map in partnership with UW. This is the culmination of two years of work which focused on using community listening sessions with those most impacted by health risks from pollution from around the state – including tribes, farmworkers, and communities of color. The hope is that this interactive tool can be leveraged by state agencies and other decision-makers to help inform where targeted investments should be made. See additional policy applications. or read an article about the map in the Seattle Times. Learn more about the EnviroCAT’s investments. A new Investee of the EduCAT, Somali Parent Education Board, has reached financial stability to hire their first staff – Executive Director, Regina Elmi. This is a huge milestone for the organization that has been a volunteer-run for over three years. During those three years, they have engaged with over 800 families in five school districts in South King County. 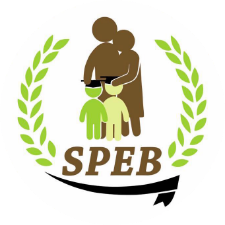 SVP’s initial investment was to support the work of SPEB and their pilot Education Institute for Somali Families which aims to support parent leaders. Check out the current volunteer opportunities with SPEB. Learn more about the EduCAT’s investments. Things have gone well for the 2018 Fast Pitch Established Nonprofit Winner. With the award they received from SVP Fast Pitch, Seattle Against Slavery (SAS) is hiring staff to coordinate victim outreach partnerships nationally! Their Fast Pitch coaches have continued to work with them to build strategies for communicating the impact of Freedom Signal for the future.